Jeanette Grasselli Brown spent 38 years in industrial research, retiring in 1989 as Director of Corporate Research for BP America (formerly The Standard Oil Co.), From 1989 to 1995 she served as Distinguished Visiting Professor and Director, Research Enhancement at Ohio University, Athens, Ohio. In 1995 she was appointed by Governor Voinovich to the Ohio Board of Regents, the coordinating body for all higher education in the State of Ohio. She was reappointed by Governor Taft in 1999 and she is a past Chair of the Board. She was Vice Chair of the Governor’s Commission on Teacher Success in 2002. Jeanette Grasselli Brown received her B.S. degree from Ohio University and her M.S. in Chemistry from Case Western Reserve University. She holds 13 Honorary degrees, including the most recent from the University of Pecs in Hungary. She has 1 patent, 80 publications and 9 books in the field of infrared and Raman spectroscopy. She was Editor of the international journal, Vibrational Spectroscopy from 1989-1995. Her areas of expertise include industrial problem solving using vibrational spectroscopy, combined instrumental techniques, computerized spectroscopy, process analysis and control, and environmental spectroscopy. She is a member of Phi Beta Kappa and is a Fellow of the American Association for the Advancement of Science. 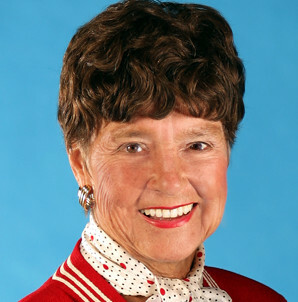 Her civic involvements include the Boards of the Cleveland Hungarian Development Panel, the Cleveland Orchestra, the Great Lakes Science Center (past Chair, Board), the Cleveland Clinic Foundation (co-chair, Neurological Institute Board), Friends of EPrep school, the Holden Arboretum, Martha Holden Jennings Foundation, Musical Arts Assoc of the Cleveland Orchestra, One Community (co-chair, Board), IdeaStream (past Chair, Board) the Cleveland Scholarship Programs, Inc. (past Chair, Board), and the Northeastern Ohio Science and Engineering Fair (Vice Pres, Board). She was Co-Chair of the INTEL International Science & Engineering Fair which was held in Cleveland in May, 2003. She has been a Director on the Board of 6 Fortune 500 corporations and has served on the White House Joint High Level Advisory Panel for assessing US/Japan science and technology. She has been Chair of the U.S. National Committee for IUPAC, national President of the Society for Applied Spectroscopy and national Chair of the Analytical Division of the American Chemical Society. She has received the Garvan Medal as the outstanding woman chemist in the United States from the American Chemical Society, was the first woman inducted into the Ohio Science and Technology Hall of Fame, and is in the Ohio Women’s Hall of Fame. In 1985 she was selected as one of the Foremost Women of the Twentieth Century and in 2002 she was selected as an International Scientist of the Year. In 2002 she received the National Ellis Island Medal of Honor for her work with the Hungarian community in Cleveland. In 2004 she received the Great American Award from the Stan Hywet Foundation and she was selected for the book “Ohio 200 years, 200 Women: Ohio’s First and Finest”. In 2006 she received the In Tribute to Public Service Award from Cleveland State University’s Maxine Levin College of Urban Affairs.